They have a bunch of oval solder spots on each end of the board (see pic). What is the use case for those? One can use them for connecting wires coming from another circuit. As the pads are large, they can be used as a common pad. Helpful when a component needs to be mounted sideways. They're handy for mounting headers along the plane of the board, either single-row, double-row, or box headers. Source for this point. 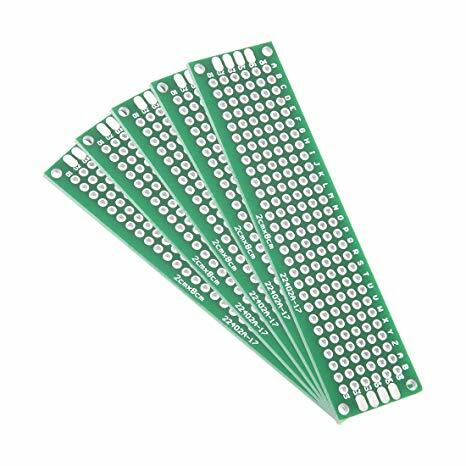 Since, the PCB you have mentioned is used for prototyping circuits, its up to the user to decide how to use them and there can be many more scenarios in which they can be used. Not the answer you're looking for? Browse other questions tagged pcb or ask your own question. What are these pcb connector type pads for? Can I place an electrolytic capacitor close to a solder point on a two sided pcb?